With planning you are able to have interesting gardens all year round. And winter should be no exception to the rule. Standing out like bright beacons on cold and wet days are the cup-like flowers found on the white limbs of deciduous magnolias. In leaf in summer and bare-limbed in winter, these elegant trees are undoubtedly in all their glory during the cooler months when big, fragrant flowers sit high on the ends of naked branches. While slow growing and long to flower once established, patience is eventually rewarded with stunning flower displays in the cooler months. 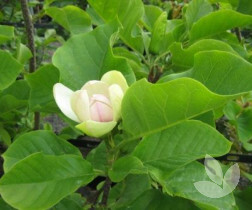 Recent advances in breeding has brought to the market new selections that are more compact than the most common variety you tend to see – called Magnolia soulangiana - found in many older gardens. 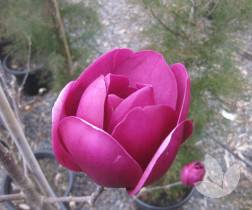 Newcomers like Magnolia soulangiana ‘Black Tulip’, ‘Vulcan’ and ‘Sunburst’ are smaller in height but more exciting because of the range of flower colour they offer. As an example, ‘Black Tulip’ has knock-out dark purple goblet shaped flowers whereas ‘Vulcan’ offers the more traditional pinkish purple flowers with the difference being that they are really big and showy. Magnolia ‘Sunsation’ and ‘Sunburst’ are a pretty canary yellow, with differences in flower size and shape. ‘Sunsation’ flowers are more cup-like than ‘Sunburst’ which remind me of a yellow version of star white Magnolia stellata. 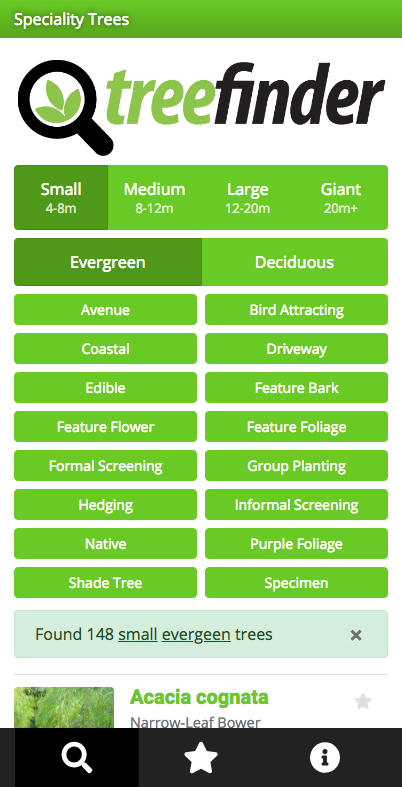 Deciduous magnolias require little effort in the garden and complement evergreen trees and plants really well. Their creamy limbs and bold flowers make these trees an eye-catching feature. Even without bold flowering, many trees and plants look fantastic this time of year and it all has to do with the cooler weather bringing out that charming reddish tinge in new leaf growth on evergreen trees. I admit that this is more noticeable in the period just before the onset of spring, but variances in climate has Mother Nature doing her best to bring this remarkable transition forward. It is a unique stage of the year and well worth capturing in the garden with these outstanding selections. For reddish flush Tristaniopsis laurina ‘Luscious’ is a real favourite this time of year as it exhibits large glossy leaves and a deep copper glow to new growth once winter’s cold weather has passed. This beautiful reddish tinge is like an awakening after a period of dormancy but leaves no doubt that spring is around the corner. Angophora costata is another large evergreen tree known for its transient colour, broad crown and twisted limbs. Its bark is shed in large flakes in spring but just before that occurs young foliage appear across the tree giving it a deep burgundy red tinge, gradually fading to green. Coming out of the cooler months foliage is reddish, curved and waxy, providing excellent contrast to the bark. This tree provides transient colour interest as well as shade – a beautifully rare combination going into spring and summer. The special selection of Waterhousea floribunda ‘Whisper’ is a lush, robust and fast growing evergreen native with beautiful pendulous habit. 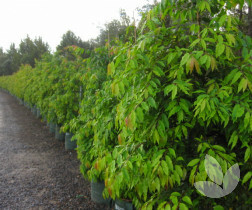 Linear cascading leaves are green with a reddish-orange tinge on young growth. Growing possibly to 12 metres, depending on climate and soil conditions, it is an outstanding performer in the south eastern parts of Australia and holds good colour throughout the colder months when new growth begins to form. Its slightly larger leaf makes for a denser form of Waterhousea than others on the market. It is full and fat and dressed to the ground so it can be used very successfully as a soft, graceful yet dense screen. Perfect for blocking out tall neighbouring structures. This is a beautiful, highly versatile selection that looks fabulous in the back end of winter when foliage is multi-coloured. If you are looking for finer foliage, Allocasuarina torulosa might be the solution. This beautiful pendulous tree has a corky light brown bark and fine leaves that turn a beautiful copper colour in winter. Of course there are some options to consider for red foliage colour all year round. 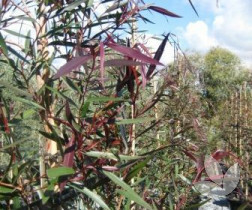 For fine foliage, Agonis flexuosa ‘Burgundy’ is an attractive small growing tree with an elegant pendulous habit that is highly sort after for its unique combination of intense colour and weeping habit. Both Allocasuarina torulosa and Agonis flexuosa ‘Burgundy’ add softness to the garden because of their graceful, slender foliage and weeping form. 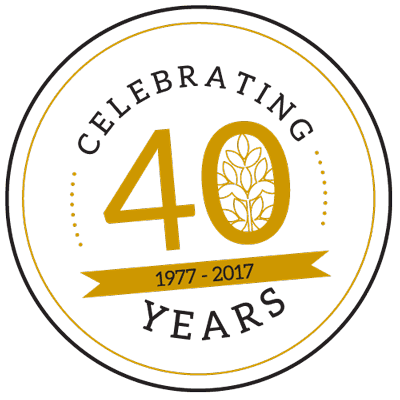 We have a very special selection Watehousea over a number of years now. In our opinion, no other selection of Waterhousea comes close to this high performer. Available from 33cm right up to 300L. But be quick, this is one of our best sellers..
Deciduous magnolia with an open habit and deep golden yellow flowers with a flush of purple at the base. A beautiful addition to the garden as a feature tree. We have numbers available in 40cm containers. 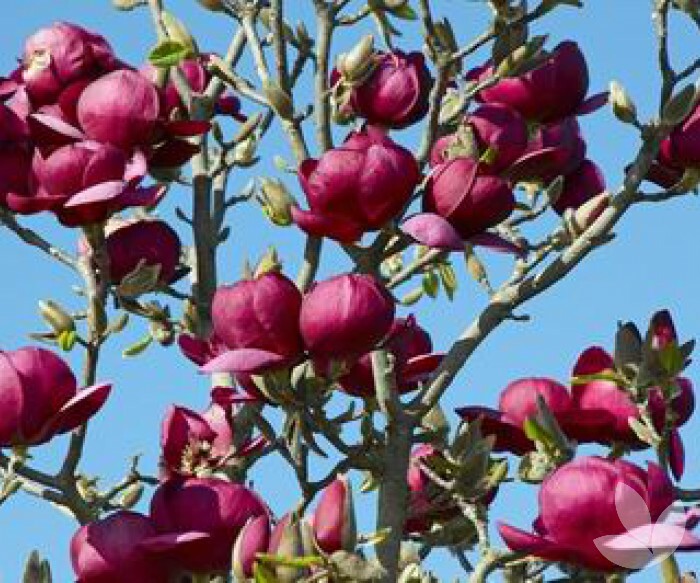 This deciduous magnolia produces knock-out dark purple goblet shaped flowers in spring. This tree would make a beautiful specimen tree in any garden. We have supply in 40cm and 50L containers. This tree bears white clusters of flowers which last for a long time. It has a beautiful weeping habit and spectacular dark burgundy coloured leaves. An excellent specimen tree for courtyard gardens, parks or as a street tree. This is a very popular line for us in sizes 33cm to 150 litres. 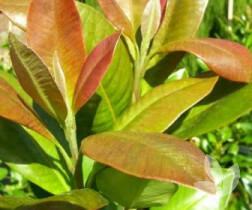 A larger and shinier foliaged version of straight Tristaniopsis with dark green leaves and new growth that starts out a distinctive copper colour. Over time branches develop a deep purple colour bark that peels back to reveal a cream smooth trunk. Check out our stock in 33cm, 40cm, 50 and 200 litres.